Child care providers are required to maintain a variety of certifications. The specifics vary from state to state, but often include skills such as basic first-aid and cardiopulmonary resuscitation (CPR). These specific skills are extremely important, and require regularly-scheduled recertification to ensure that in-home and center-based childcare providers keep these skills up to date. What happens if one or more of my childcare certifications lapses? Depending on the state you live in, the specific certification that has lapsed, and the length of time you’ve been operating without up-to-date documentation, you may receive a punishment ranging from a warning to misdemeanor charges. In addition to the legal repercussions of letting one or more of your certifications lapse, you may also be opening yourself and your child care center up to unwanted liability exposure. In the case of an injury at your childcare center, a distraught parent and/or their attorney will argue that the injury would not have occurred if the employee had kept all certifications up to date. Even if they are unable to prove that the injury would not have occurred, they will argue that the injury would have been less severe if the child care center’s employees were properly certified. Also, as technology and medical treatment continue to progress and change over time, there may have been changes in how emergency treatment is to be provided. This is information that is typically provided in the training for certification updates. 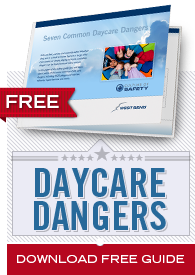 A daycare employee whose certifications are up to date can provide emergency care with confidence that they have been properly trained and are using the most up-to-date methods. They can also testify with confidence to this. The claimant and/or their attorney will also argue negligent supervision and training by the employer for failing to have their employees properly maintain their certifications. If the employer makes sure all employees’ certifications are up to date, the claimant’s arguments are limited. They can still argue that an employer improperly supervised or instructed their employees, but a jury will have greater respect for an employer that has shown they are a responsible and caring entity that has proper procedures in place, including employee certifications. The certifications are easily shown as evidence to a claimant and to a jury. If an employer allows certifications to lapse, it may give the appearance they are disorganized, uncaring, and not properly prepared to respond to a child’s needs.